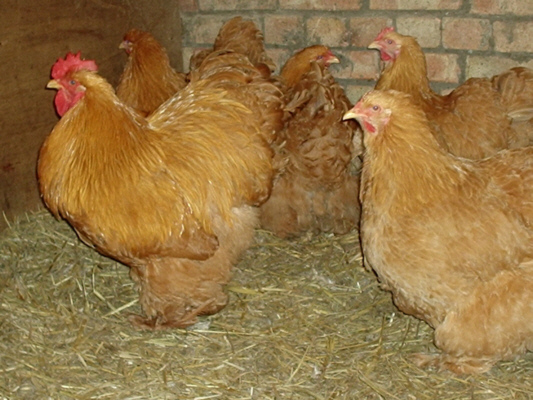 The commencement of poultry breeding, where birds of different individual characteristics are separated into breeds, began with the birds which are now known as Cochins. The period was during the late 1830's and early 1840's with the import of birds from China. These were presented to Queen Victoria and assumed the name of Shanghais. There are differing descriptions of these birds, especially since further imports were of a different style and type. The originals were a Malay type of bird, whilst the latter ones combined looser and more abundant feathering, some of which were single-combed, with the others being more of a pea-comb type. These birds were bred-on and with the addition of further imports, were developed into the Cochins we know today. Cochins were amongst the first breeds to be standardised and at present there are six main colours and the birds should all be the same shape and style throughout the colour range. This is a bird of massive size and excessively feathered curves, especially in the areas around their thighs and cushion. Buff, Black, White, Blue, Cuckoo and Partridge, although there are now some variations being introduced, via the non-standard classes. As with many of the breeds in the UK at present, there is a trend to develop further colours. 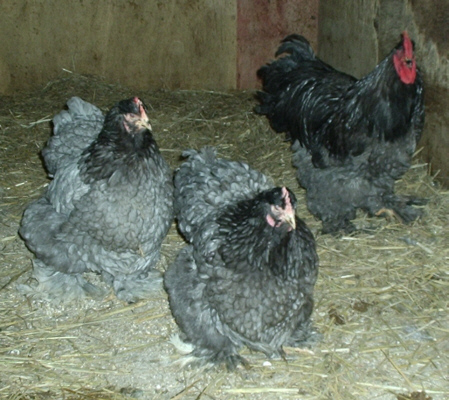 Until new colours have been approved by both the Breed Club and the Poultry Club, the birds have to be exhibited in non-standard classes.